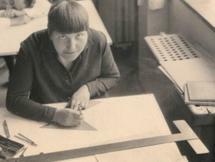 Charlotte Ida Anna "Lotte" Stam-Beese was a German architect and urban planner who helped with the reconstruction of Rotterdam after World War II. Beese was born in Reisicht, Silesia, Germany (now Rokitki, Tczew County, Poland). As a young adult she first found work as a weaver in Dresden. She.. 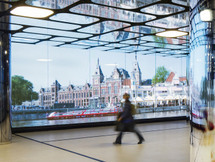 The IJhal is a recently completed pedestrian passageway situated within Amsterdam’s central train station, on its the northern, waterside–which abuts the river it’s named for, the IJ. The central station has been under continuous construction, for approximately the last decade, as the city..